We want to be clear that in the great Streetcar debate, John Cranley Christopher Smitherman, Amy Murray and Charlie Winburn held firm, and fulfilled their campaign promises. We say this because there was all sorts of flip-flopping and back-stabbing on the Streetcar issue in the weeks since the election, but these four were steadfast in their opposition to this boondoggle. After the Council vote on Thursday, Mayor Cranley was simply recognizing reality when he said "there will be a streetcar," and he did not choose to veto the 6-3 veto-proof vote. But he did what he promised to do not he campaign trail -- to consistently oppose this wasteful spending. We thank these four elected officials for remaining steadfast in an aggressive political environment. The Responsible Bidder ordinance passed on May 1, 2013 is bad public policy. City Council is attempting to direct the Hamilton County Commissioners to require the implementation of an unconstitutional policy on the construction project managed by MSD. The MSD project is valued at $3.5 billion. The majority of MSD work has been haulted by all three County Commissioners. The Responsible Bidder ordinance that was passed May 1st is unconstitutional. All costs related to the Responsible Bidder ordinance will be passed on to all rate payers. "The streetcar debate is important but the Responsible Bidder ordinance is eight times the value of the streetcar. The ordinance will be challenged in court and the City Council will illustrate again its unwilllingness to have a good relationship with our county partners," Smitherman said. How do you think that private fundraising for Streetcar operations is going? Last week, Mayor John Cranley, flanked by new Council member Kevin Flynn and representatives of the City’s labor unions, and with the announced support of new Council member David Mann, announced that he was considering supporting the Streetcar project if the operating costs for thirty years could be raised from private funds. It’s a reasonable proposition, because – on the one hand – without such commitments, City taxpayers invariably will be saddled with these expenses that will eat into available funds for police, fire and road maintenance. On the other hand, if they can in fact raise the funds, the economics of streetcar operations are significantly improved from the taxpayer perspective – at least as it relates to Phase I of the project. Cranley estimated the costs would be $80 million for that 30-year stretch. COAST believes that number is low. But let’s assume it is correct. What is the track record of private industry supporting the Streetcar project with their own checkbooks? Not good; not good at all. 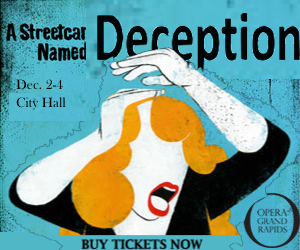 COASTers may remember that back in 2009, we exposed the folly and fiction of claimed massive private support for the Streetcar. Read here and here. When the Streetcar project was first announced in 2007, we were told the City’s share of the capital expense for Phase 1 would be $32 million, and every nickel of it would come from private contributions (sound familiar?). 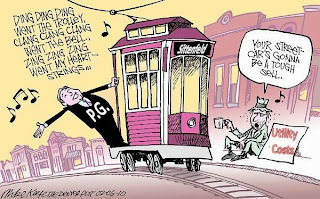 Thus, voters and the Council were initially lulled into pursuing the Streetcar on the promise of a shiny new toy that was absolutely without local budgetary consequence. Then, Mayor Mallory and Milton Dohoney set about with marketing materials, and City staff, for an entire year. They sent mailings and set personal meetings with corporate titans in Cincinnati. And these powerful men put their entire credibility behind fundraising for the project. And after an entire year of beating the bushes they raised how much? Nada, Nothing. Goose egg. Zilch. Zip. Shortly after the close of the year, a young couple asked their wedding guests to donate to the Streetcar instead of giving the gifts, raising a whopping $2,935. In addition, the City sold their light fixtures to Duke Energy, generating a few million dollars more. Other than these contributions, the City fundraising failed entirely. 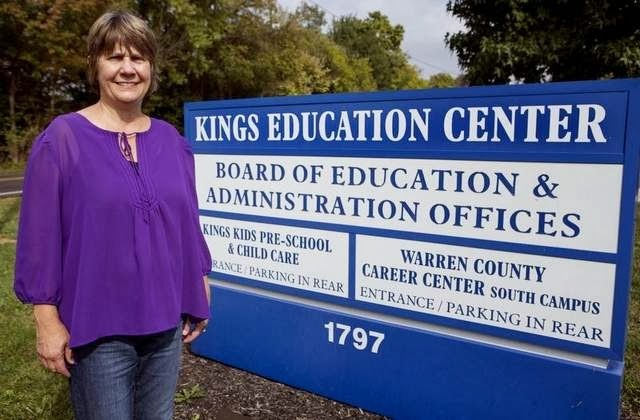 So, comparing this experience to the present circumstances, wherein we need $80 million raised in a week, it looks shall, we say, unlikely that private funds will be raised to pay for the failed dream of Roxanne Qualls and her departed ilk. We shall see in just a few days! 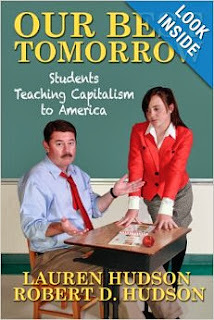 COAST Member Rob Hudson and his 13 year old daughter Lauren have authored a new book for students entitled Our Best Tomorrow – Students Teaching Capitalism to America. It recently became an Amazon #1 Bestseller for Current Affairs books and for Free Enterprise books. The book has been featured on The Stossel Show, Fox and Friends, Stuart Varney & Company, and Money with Melissa Francis. As the book succeeds, the Hudsons intend to use it as a platform to further public school education on free enterprise. For more information, here is a link to the book’s Amazon page.
. . . and the lessons Cincinnati can learn before it's too late! The Detroit People Mover, a light rail transportation system, celebrated its 20th birthday in July. More than a year before People Mover opened in 1987, Time magazine printed an unflattering preview of the coming attraction titled "Horizontal Elevator to Nowhere." Estimating the project to be a year late and 50 percent over budget, Time detailed numerous defects and problems, with the most notable mistake being the decision to build it at all. One Detroit resident was quoted as saying that it was "a rich folks’ roller coaster," and a Reagan administration transit chief predicted that it could become "the least cost-effective transit project in the last 20 years." The People Mover has repeatedly revisited these themes as if they were stations on its tiny circuit. It looks like Cincinnati is on the verge of doing the right thing in canceling the Streetcar project. Let's hope we don't insist on repeating Detroit's Folly! According to filings with the FEC and Ohio Secretary of State, Streetcar Developer Parsons Brinkerhoff contributed to exactly one campaign in the State of Ohio in November. 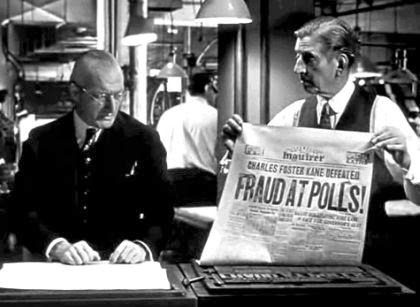 Wendell Young received $1000 in the day before the election. This follows up on the $250 contributions to Greg Landsman and Michelle Dillingham in October and the $1000 contribution to Roxanne Qualls on September 11. See Parson's Ohio filings here. The voters of Cincinnati spoke loud and clear in November. Unfortunately, all too often, elected officials prefer to ignore the will of the people. Not so with Cincinnati's Mayor and City Council. COAST believes it is important to hold politicians accountable, and that it is equally important to thank them when they do the right thing. No doubt over the next four years we will find plenty of reasons to disagree with City Council. But today, we are grateful for their leadership and integrity. In that vein. We encourage you to use the links below to email Mayor Cranley, Vice Mayor Mann and council members Flynn, Murray, Smitherman and Winburn to thank them for standing firm and coming through on their commitment to stop the streetcar. Council's third reading of the Ordinances to Stop the Streetcar will begin at 2 pm today. Get to City Hall and show your support for the City. If you can't make it there in person, click the links below to email or call the Mayor and Council and let them know it's time to stop the Streetcar! What Did P.G. Know about the Memo and When did he Know It? Councilman Sittenfeld did his best gymnastic trick yet last week when he suddenly flip flopped on the Streetcar. We wonder: Did P.G. know the contents of the memo last week? Did he just hope it would never come out? Now that we all know that the first phase will cost at least $15 Million more than projected, Is he ready to flip back? Email P.G. now and ask him if he was in on the coverup! End the Federal Wind Production Tax Credit, Stop picking winners and losers! With the end of the year fast approaching, one of the issues on the agenda for Congress is tax reform and how to whittle down unnecessary government spending. For us Ohioans, the federal wind Production Tax Credit (PTC) is the perfect example of the kind of expensive, wasteful policy that lawmakers need to end once and for all. The PTC should expire at the end of 2013 as scheduled. The PTC is a 2.3 cent per kilowatt-hour tax credit that was originally created as part of the 1992 Energy Policy Act to make wind a viable and competitive energy source. Given that wind currently produces 43 times more electricity than it did in 1990, and that there is over 60,000 MW of wind capacity in 38 states—enough to power over 13 million homes—it seems pretty clear to us that the PTC has done its job. In addition, a recent analysis by the Joint Committee on Taxation shows that extending the PTC for a single year would cost taxpayers a whopping $6 billion. And even if it were to expire at the end of this year, taxpayers are still stuck paying $12 billion for its 2013 extension. At a time where the federal government is struggling to pay its bills and facing record deficits, it’s clear that Americans and Ohioans should no longer have to foot the bill for this outdated subsidy. Not to mention, Ohio has one of the largest renewable portfolio standards in the country, requiring that 12.5% of the state’s electricity needs be met with renewable resources. These standards are already driving the growth of renewable energy in the state, and will continue to do so regardless of the PTC. To add insult to injury, wind energy is distorting power markets all over the country. The PTC motivates wind developers to build wind farms with no regard for market demand. As long as they’re selling power, they’re collecting the subsidy. And alarmingly, the PTC is creating an incentive for wind producers to actually pay the market to take their generation when it’s not needed. Because the PTC is worth more per MWh than the average wholesale price of power, wind generators will pay their customers to take their power in order to collect the subsidy. This creates a phenomenon called “negative pricing” which hurts conventional generators that have to keep the lights on without the benefit of an exorbitant subsidy. The bottom line is that it’s time for the government to stop picking energy winners and losers. Congress should allow the PTC to expire at the end of the year once and for all. This morning COAST attorney Chris Finney talked Streetcar Finance and the incoming City Council with Dan Carroll on 700 WLW. LEESBURG, Virginia (November 20, 2013) - Today, the Ohio General Assembly answered Governor John Kasich's call to action by passing a resolution, with bipartisan support, demanding that Congress set the time and place for a Convention of the States to draft a balanced budget amendment to the U.S. Constitution. Article V of the Constitution provides both Congress and the states with equal authority to propose an amendment. Under Article V. of the U.S. Constitution thirty-four states need to pass a similar resolution to initiate a convention for the sole purpose of drafting a balanced budget amendment. The total U.S. debt has increased every year since 1957. Now, only 12 countries out of world's 196 have a higher debt to G.D.P. ratio than does the U.S. (102%). Among these are Greece - 157%, Zimbabwe-151%, Jamaica-146%, Italy-127% and Portugal -124%. Chairman of the Joint Chiefs of Staff, Navy Admiral Mike Mullen stated, "I've said many times that I believe the single, biggest threat to our national security is our debt." Cincinnati City Councilman Christopher Smitherman discussed killing the streetcar with WLW's Bill Cunningham this afternoon. Laure Quinlivan heading to the unemployment line! While we may have lost the battle on the Parking Plot, we definitely won the war as Roxie and LQ were saddled with their support of the parking deal and streetcar. So many times politics is dominated by money. Other times it is driven by powerful forces like union organizers or racial politics. And still others, it is driven by the politics of personal destruction. But in some years, reason triumphs over all of these. Such was the case in 2013. As much as Roxanne Qualls tried to ignore both, the Mayoral election election was decided by two issues: the Cincinnati Streetcar and an epic political and policy disaster -- the Parking Plot. And Laure Quinlivan and Pamula Thomas joined her in driving their political careers into the ground on the twin pillars of policy folly. All year long, COASTers asked: How much pain can they endure? How tone deaf can they be? We even wondered if our political instincts might be askew as these experienced politicians persisted in pursuing the most politically reckless strategies in event memory. Then, in the closing days of the campaign, they rubbed salt in the wounds they first opened with the voters by installing streetcar lines and pushing forward the parking bond deal, forcing both unpopular issues into the headlines at just the right time for the challengers. More than ever before in COAST's memory, a Mayoral race and a Council race were about issues that defined the candidates, defined their character, defined their hubris, defined their refusal to listen to their own voters and defined their political philosophies. The Streetcar and Parking Plot were on the lips of common voters, businessmen and opinion leaders. Across the City, voters asked the candidates and one another: Why won't you listen to us? Candidates, like Qualls and Quinlivan, who enjoyed significant levels of personal popularity saw their support evaporate as they relentlessly and senselessly pursued these unpopular policies. COAST is grateful that the issues of the day dominated the election. So, in addition to just having better personnel in the Mayor's office and on Council, those elected have a mandate to rein in reckless spending at City Hall, starting with killing the Streetcar and the Parking Plot. Cincinnati, a bight new day has dawned. Let's now move forward together. The Empire does strike back, doesn't it? Our loyal COAST blog readers will remember that earlier this year, union goons, establishment Democrats and other members of the far left column attempted to mount a coup to remove Christopher Smitherman as President of the Cincinnati NAACP. That effort was a dramatic failure in part because of Smitherman's powerful grass roots organizing skills, and in part because Smitherman's credentials in advancing the cause of African Americans in Cincinnati was indisputable. That effort was led by Rob Richardson, Sr. and Rob Richardson, Jr., the latter of which hosts a talk show on Cincinnati's WDBZ radio station and is the attorney for Cincinnati's Labor Council that is behind the Qualified Bidder ordinance that has brought MSD projects to a screeching halt. Well, Richardson and his union thugs have now cooked up campaign literature and radio commercials aimed at the African American Community. With huge radio buys, accentuated by talk show hosts with malevolent intentions, Smitherman has endured a withering set of attacks since the middle of last week, which will endure through election day, tomorrow. COAST thanks Smitherman for his leadership, courage and hard work in advancing a fiscally conservative agenda on Cincinnati City Council. We are confident he will once again survive this attack on his integrity and record. See here how Christopher Smitherman exposes the persons behind the ad.